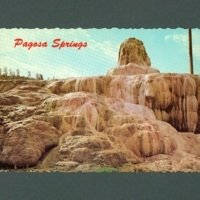 Undated postcard (after 1963) with color halftone photo of Pagosa Springs, Colorado, is captioned: "Colorful Mineral Deposits are natural scenic attractions in Pagosa Springs. 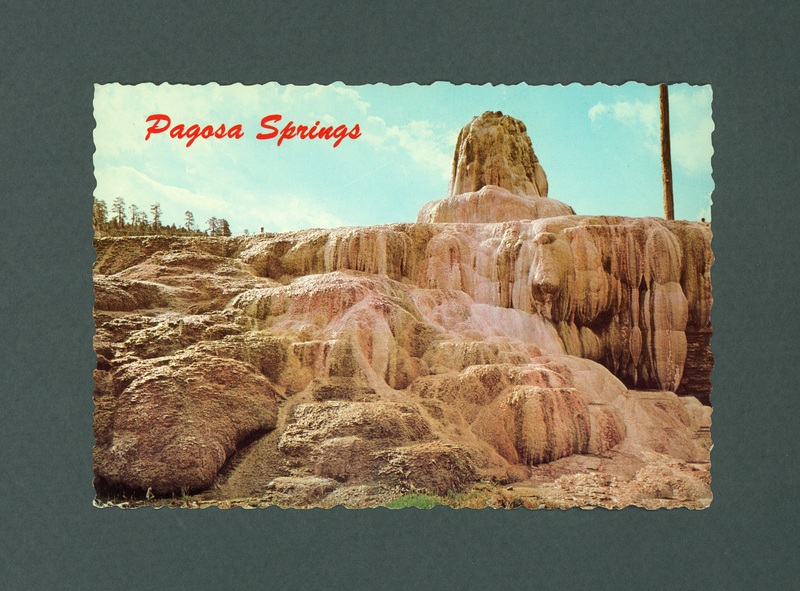 Deposits are formed from Mineral Springs whose healing properties were known and used by Indian tribes long before any white civilization." 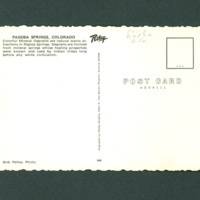 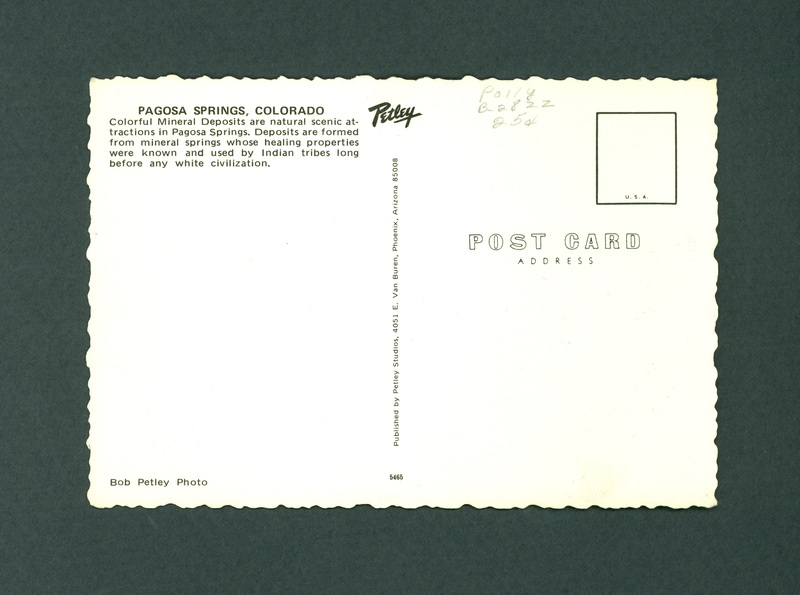 Bob Petley Photo, “Pagosa Springs postcard,” The Skeptiseum, accessed April 21, 2019, http://skeptiseum.org/items/show/191.